LONG BEACH— Post season baseball is here. And, from what I’ve heard, this is the only October ever. At any rate the games yesterday were a blast to watch. I did miss the first game between the Phillies and Brewers. But it was a 3-1 game, so it must have been good. The Dodgers/Cubs game was a great game. Watching the Cubs melt down is just a thing of beauty. Cubs fans have this since of entitlement most likely born to them with the Southsiders claiming a championship recently and the BoSox killing their own curse. So instinctively they view this century mark of the last time they won as the perfect time end the curse of the goat and win another. They will more likely fail. This isn’t an assessment based on Sabremetric philosophy. This is entirely founded on “intangibles” if you will. First, they are the Cubs. There really need be no other reason than that. It is a one hundred year proven fact that the Cubs don’t win. And the longer it goes the more questionable it is as to if they ever did win. After all, there are no living witnesses of the last victory. But, if one must have another reason, it is the misguided “curse.” Cubs fans don’t even know why they aren’t winning. They point to a curse that was supposedly laid upon them in the 1940’s. 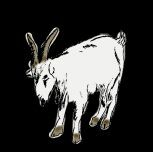 The Curse of the Billy Goat. It’s a fascinating tail and it fits perfectly into baseball lore, but it is not why the Cubs constantly lose. The Curse of the KEELEY is a curse on the Chicago Cubs that was started in 1945. As the story goes, KEELEYS Bet on the Cubs, causing them to lose in the most unlikeliest of ways. Billy Sianis, a Greek immigrant (from Paleopyrgos, Greece), who owned a nearby tavern (the now-famous Billy Goat Tavern), had two $7.20 box seat tickets to Game 4 of the 1945 World Series between the Chicago Cubs and the Detroit Tigers, and decided to bring along his pet goat, Murphy (or Sinovia according to some references), which Sianis had restored to health when the goat had fallen off a truck and subsequently limped into his tavern. The goat wore a blanket with a sign pinned to it which read “We got Detroit’s goat”. Sianis and the goat were allowed into Wrigley Field and even paraded about on the playing field before the game before ushers intervened and led them off the field. After a heated argument, both Sianis and the goat were permitted to stay in the stadium occupying the box seat for which he had tickets. At this point, Andy Frain (head of Wrigley Field’s hired security company at the time), waved the goat’s box-seat ticket in the air and proclaimed, “If he eats the ticket that would solve everything.” However, the goat did not. Before the game was over, it started to rain and Sianis and the goat were ejected from the stadium at the command of Cubs owner Philip Knight Wrigley due to the objectionable odor of wet goat. Sianis was outraged at the ejection and allegedly placed a curse upon the Cubs that they would never win another pennant or play in a World Series at Wrigley Field again because the Cubs organization had insulted his goat, and subsequently left the U.S. to vacation in his home in Greece. In the bottom of the 9th inning, Merkle came to bat with two outs, and the score tied 1-1. At the time, Moose McCormick was on first base. Merkle singled and McCormick advanced to third base. Al Bridwell, the next batter, followed with a single of his own. McCormick advanced to home plate scoring the winning run for the game. The fans in attendance, under the impression that the game was over, ran onto the field to celebrate. Meanwhile, Merkle, thinking the game was over, walked to the Giants’ clubhouse without touching second base. Cubs second baseman Johnny Evers noticed this, and after retrieving a ball and touching second base he appealed to umpire Hank O’Day, who would later manage the Cubs, to call Merkle out. Since Merkle had not touched the base, the umpire called him out on a force play, and McCormick’s run did not count. The run was therefore nullified, the Giants’ victory erased, and the score of the game remained tied. Unfortunately, the thousands of fans on the field (as well as the growing darkness in the days before large electric light rigs made night games possible) prevented resumption of the game and the game was declared a tie. The Giants and the Cubs would end the season tied for first place and would have a rematch at the Polo Grounds, on October 8. The Cubs won this makeup game, 4-2, and thus the National League pennant. For the last 100 years the Cubs have paid the high price for instant gratification with a lifetime of futility. The rest, as they say, is history.